Liz Garbus’s absorbing documentary tells the strange and tragic story of Bobby Fischer, a self-taught chess prodigy from Brooklyn who won the Cold War for the USA in 1972 by beating the USSR’s Boris Spassky in the World Championship at the grand age of 28. Fischer became massively famous, but if America wanted an uncomplicated poster-boy for the game of kings they had backed the wrong horse. He had achieved greatness through a monomania about the game, to the exclusion of everything else, and once he had reached the apex of his world he had nowhere else to go, apart from seriously off the rails. In a masterclass of self-sabotage he forfeited his title through obsessive demands about gaming conditions, and set about alienating pretty much anybody who might have helped him find another life. Garbus’s film goes some way towards exploring the mystery of why a Jewish boy genius could end up falling for The Protocols of the Elders of Zion hook, line and sinker and spend the second half of his life spouting anti-Semitic bilge, ranting about Mossad, nuclear Armageddon, the russkies, the CIA, and popping up on Tokyo TV to crow as the twin towers fell. His chaotic and unsupportive family background is explored, along with the theory that greatness at chess pretty much goes hand in hand with a helping of crazy: ‘a good chess player is paranoid,’ states one expert, and plenty of examples are found among previous grand masters to back this up. The film is a briskly paced montage of well-chosen footage, Life photographer Harry Benson’s remarkable stills, some welcome explanatory graphic animations and an impressive roll call of talking heads including Henry Kissinger, Malcolm Gladwell and Gary Kasparov. 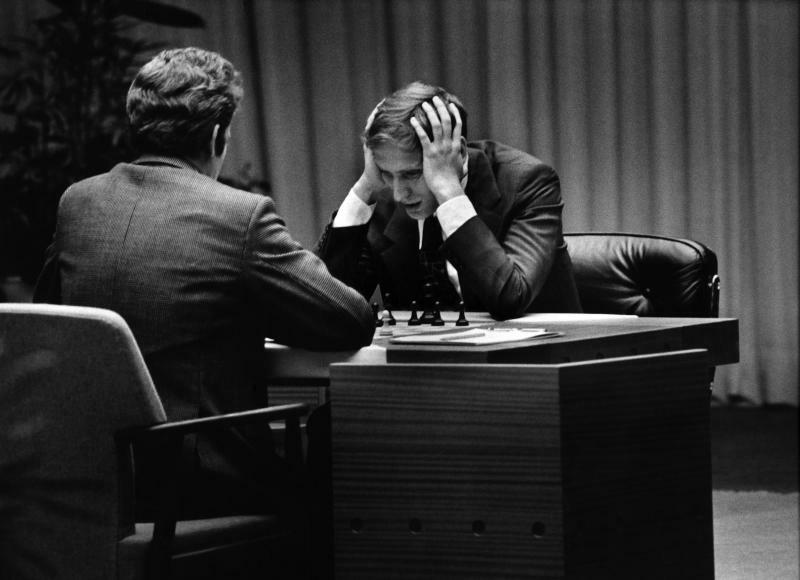 It charts Fischer’s meteoric rise, concentrates on the 1972 Championship games to establish his genius, and then follows his decline through increasingly long lenses as he became a fugitive, first from the media, and then from the United States after he broke a UN embargo to play a rematch with Spassky in Yugoslavia during the civil war. Garbus tells the tale well, and does a good job making the matches exciting even for those, like me, who don’t play the game. But Fischer still remains a bit of an elusive figure, largely, I suspect, because nobody actually knew him very well. He was a loner in hiding for much of his life, a man who disowned anybody who criticised him and antagonised those who tried to remain on friendly terms. Maybe, apart from those great games, there just isn’t much to know. We are left with footage of a man, socially maladroit and forever ill at ease in front of a camera, cheekily self-assured when talking about his ability and status, lost, tense and nervous when discussing anything else.